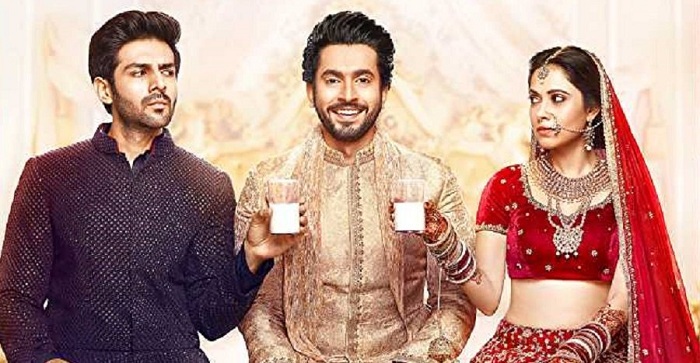 Sonu Ke Titu Ki Sweety Saturday (2nd Day) Box Office Collection Report. Excellent Growth! Sonu Ke Titu Ki Sweety has shown excellent jump on Saturday (2nd day) at box office. Film registered a jump of around 40-45% on Day 2 from Day 1. This is big from any angle. Jump is even great considering film did very well on Day 1. Film is on course to touch double digit on Sunday. SKTKS has collected an approx 9-9.25 crore nett on Day 2. Film total business after 2 days is approx 15.4-15.65 crore nett. Film first weekend business is now sure shot to cross 25 crore nett. Film is on course to emerge as Clean HIT and Monday result would decide that. Film needs just decent hold on 1st Monday to emerge as a HIT. SKTKS opening weekend collection is heading towards 26-27 crore nett with decent to good growth on Sunday. This is big for such film with the face value. Film has got perfect screening and content is liked by all. That is the main USP. SKTKS has every chance of touching or crossing 50 crore nett in India. That will be an achievement for such small budgeted film. Sat -> 9-9.25 crore nett. Total -> 15.4-15.65 crore nett (approx).